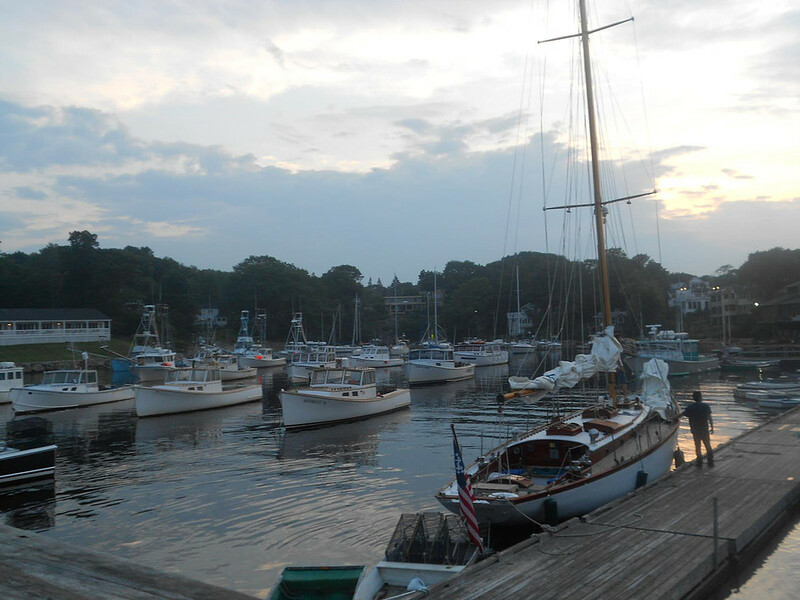 The picturesque little village of Ogunquit lies in the very southern section of York County – the southernmost county in the State of Maine. In earlier times, the land was rough and rocky. It’s fields and forests were further from markets and shipping points as compared to the York River to the south, and the Mousam and Kennebunk Rivers to the north. Fishing was the chief source of income for Ogunquit residents. Even then, Ogunquit residents showed a disposition to help themselves. The fishermen kept their dories in the outer part of Perkins Cove. This anchorage is open to the ocean and when high seas were running, the fishermen had to pull their boats up on the small beach above the reach of the waves. This caused great inconvenience, especially when the high seas came at night. Josias River then emptied into the ocean through a shallow, rocky channel between the ledges called Crow Island and the point of land called Adams Island, which was really a peninsula connected to the mainland by a small piece of field land at the end of what is now called Woodbury Lane. Seeing that if a channel were cut through this land so that the Josias River emptied into Perkins Cove it would eventually save them much labor, the fishermen formed the Fish Cove Harbor Association and bought the land between Oarweed Cove and Josias River for commercial use. They dug a ditch almost across the piece of field land and at a very high tide, when conditions were favorable, cut through to the Josias River. The water rushed through “with a roar that could be heard up to Pine Hill”, and in a short time, had cut a channel up through which they could bring their boats. In the 1880’s a bridge was built across the Ogunquit River (on Beach Street), providing access for the summer visitors to the beach. The first actual post office was established in Ogunquit in 1879 and was in a part of a grocery store (formerly Maxwell’s Store) in the building at the corner of Main Street and Berwick Road, across from Key Bank. The Ogunquit Memorial Library was given to the Village by Mrs. George Conarroe in 1897. Around the turn of the century, the first “street car” or trolley came to the Village of Ogunquit, and electricity became available. Ogunquit wanted street lights and an article was put in the warrant of a Wells town meeting. When the street light article came before the voters it was opposed by “hollering and foot stomping enough to shake the foundation of Wells Town Hall”. Needless to say, the “Wells folks” soundly defeated the article. The Ogunquit voters were “madder than wet hens” and entered a bill in the State Legislature and in 1913 got a Charter for the Ogunquit Village Corporation. In the spring of 1914, the first regular meeting of the Ogunquit Village corporation was held. There were twelve articles voted on at the meeting, of which $350.00 was voted for street lights. The total amount appropriated was $2,867.00. For many years no one claimed title to or paid taxes on Ogunquit Beach. Noting this, a shrewd lawyer for $100.00 got a quit claim deed to the property from the State of Maine and offered to pay taxes, but was overruled. After a long wait the lawyer began selling lots and houses were built on the Wells end of Ogunquit Beach. Ogunquit residents, realizing that soon the beach, long regarded as a public park, would probably be built up with houses and the public denied free use of the land, got the Ogunquit Beach District established by an act of the Legislature in 1923. It was given the right of eminent domain to acquire the beach between the Ogunquit River and the ocean and the power to tax property within it. This right was then offered to the Ogunquit Village Corporation who agreed to pay for the same at a cost of more than $45,000.00 raised by taxation of only Ogunquit property. The beach was acquired and has been maintained ever since as a public park. 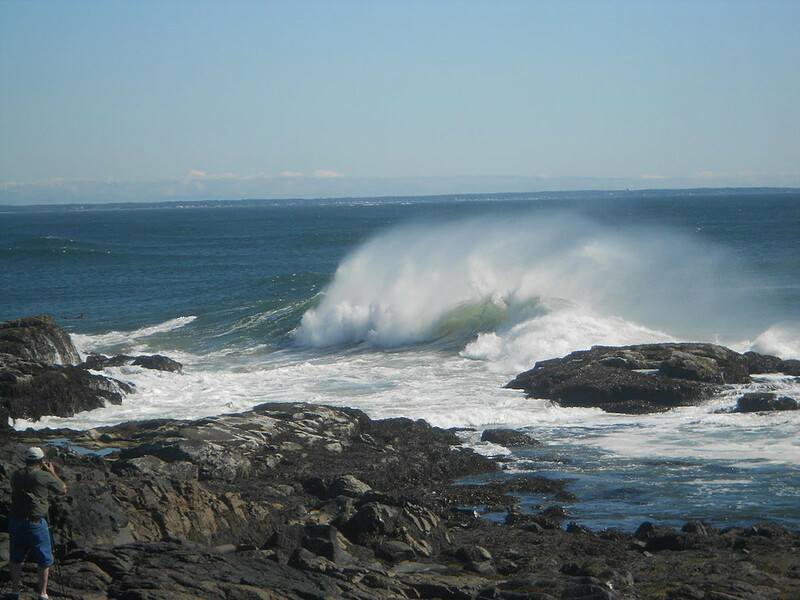 As of 1938, Ogunquit Beach was one of only two municipally owned beaches in the State of Maine. At the annual meeting of 1923, a vote of thanks was given to Josiah Chase for the gift he had given to the village of Ogunquit. This gift of the “Marginal Way”, a walk along the rocky shore in front of his property on Frazier Pasture Road, is probably the finest gift this village could receive. Subsequently, other land owners along the waterfront deeded a portion of their land to continue the “Marginal Way”. Mable Stearns Stonehill, the owner of Rockmere at the time, deeded fifty feet of frontage in 1927.